I'm proud to say that Kenzo loves sharing his old toys with the less fortunate children. Whenever we go out and see them in the streets, he always tell me that he will keep his old toys and give it to them next time we go back to the place where we saw them. Aside from this, Kenzo also donated some of his stuff toys last Christmas in Jollibee's Maaga ang Pasko toy and book drive. I presume you've seen a big box containing toys and books inside the Jollibee stores. This is their way of giving back to the less fortunate children. 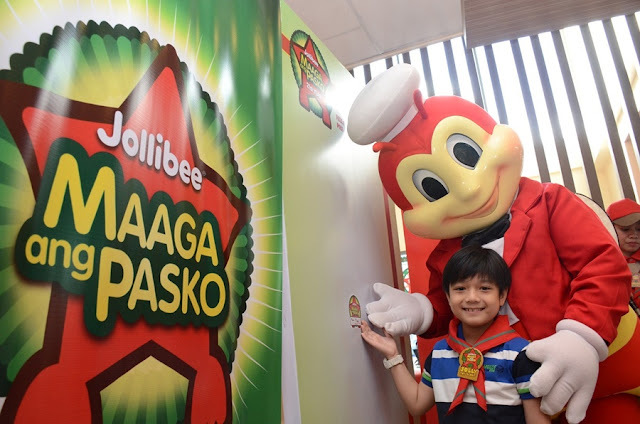 Making every Christmas brighter and more joyful for over two decades, Jollibee celebrated the launch of Maaga ang Pasko, now on its 21st year. This 2015, the country’s longest-running annual toy and book drive is continuing its mission to inspire more kindhearted Filipinos to donate gifts and spread the early Christmas cheer to less fortunate kids. Jolly Toy Scout volunteers pitched in to make the toys and books clean and good as new in the ‪#‎MaagaAngPasko‬ clean-up drive! You too can help make kids happy this Christmas, just drop your toy and book donations in any Jollibee store nationwide. Spearheading the donation drive as lead Jolly Toy Scouts are child actor Marco Masa, The Voice Kids Philippines Season 1 grand winner Lyca Gairanod and finalist Darlene Vibares, and Goin’ Bulilit kids Angelo Alayon, JM Gacayan, and Belle Mariano. The new batch of Jolly Toy Scouts hope to inspire other kids like them to share their pre-loved toys and books to make other kids happy. A teddy bear that is dear to her heart was 10-year-old Lyca’s contribution. “It’s important to me because it was given by a fan. I always have this doll beside me when I sleep at night because it’s one of my favorites,” the young singing champion said. Jolly Toy Scout Lyca Gairanod gives her bear one last hug before donating it to the Maaga Ang Pasko toy and book drive. For Marco, it was a cherished toy plane that his older brother gave to him. “I really love this toy but I want to make other kids happy this Christmas, so I am donating it,” he said. Marco Masa adds his name to the Maaga Ang Pasko commitment wall – a promise to share joy this Christmas season by donating his beloved toy. 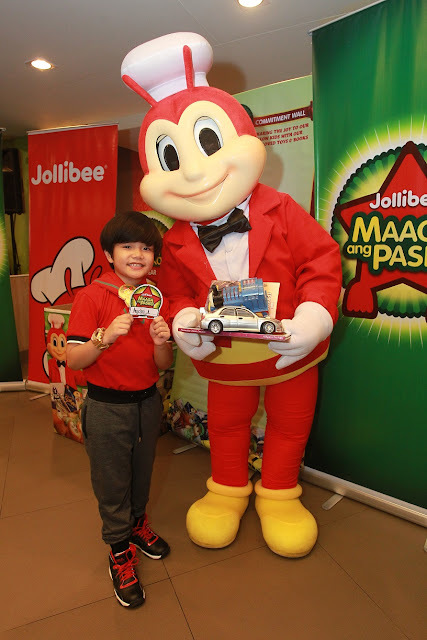 Jollibee's 21st Maaga ang Pasko Toy and Book DriveJolly Toy Scout Angelo Alayon commits to sharing the Christmas joy with his fellow kids by giving his toys and books. 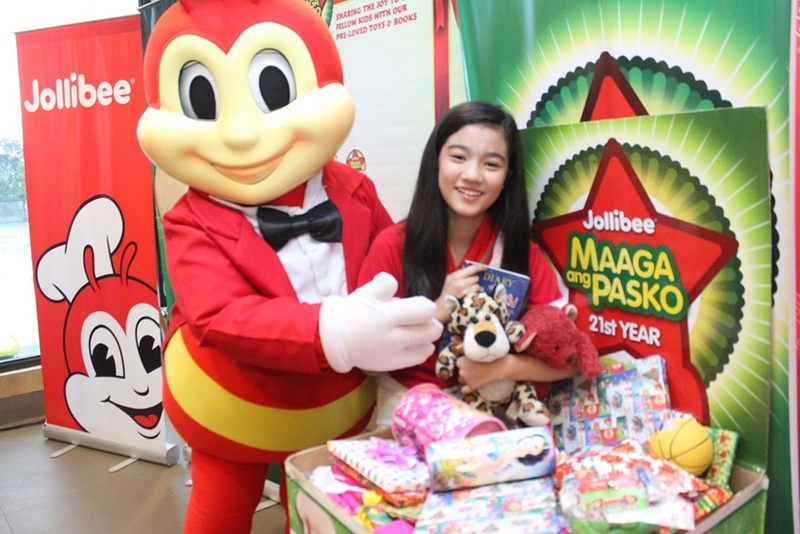 Jollibee's 21st Maaga ang Pasko Toy and Book DriveJolly Toy Scout Belle Mariano gladly donates two stuffed toys, a book, and a ball for other kids to enjoy this Christmas. The Jolly Toy Scouts were joined by Jollibee Kids Club (JKC) members from Jollibee branches in Tanza, Cavite, Walter Mart in North EDSA, Guiguinto Highway in Bulacan, Ayala Cebu, Gaisano Tibungco in Davao, and Amang Rodriguez in Pasig City, who all shared their pre-loved toys and books to the Maaga ang Pasko campaign. Jollibee's 21st Maaga ang Pasko Toy and Book DriveJollibee and JM Gacayan poses with other Jolly Toy Scouts from Jollibee Guiguinto Highway in Bulacan. Apart from leading the donations, the Jolly Toy Scouts also delighted kids and kids-at-heart with their performances of favorite Christmas carols. 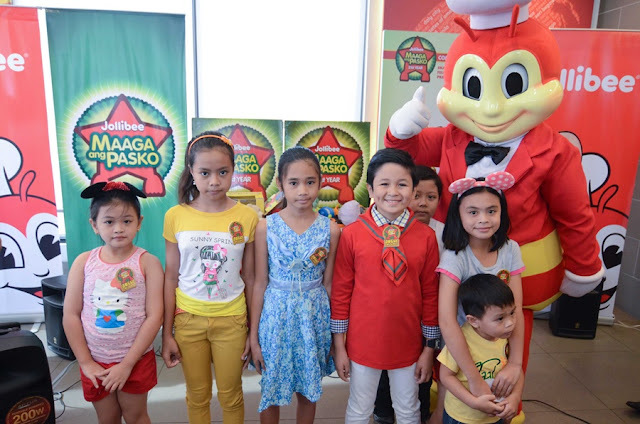 They even performed a special number with everyone’s favorite friend – Jollibee—putting the audience in a festive holiday mood. What’s more, the stars pledged to help make the holiday season more meaningful, leading the JKC members in putting their names in the commitment wall to help inspire other kids and kids-at-heart to follow suit. Give the gift of a jollier Christmas and be a part of the 21st Maaga ang Pasko. Interested parties may also drop off their pre-loved toys and books in the donation boxes found in Jollibee stores nationwide.